Clients can easily avail from us superior quality Capsules of Lycopene, Vitamin with Antioxidant that are used to improve immunity. The offered antioxidant capsules are processed utilizing optimum quality basic ingredients under the supervision of our pharmaceutical experts. Furthermore, our offered capsules are mild for any kind of side effects. 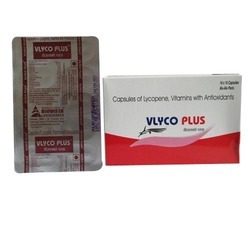 These capsules are made available in different packaging option at market leading prices. Welcome to Biovista Lifesciences franchise division. Under our expansion plan we are searching for pharma franchise/ business partners/ Distributors from financially sound unrepresented states/ districts of India. 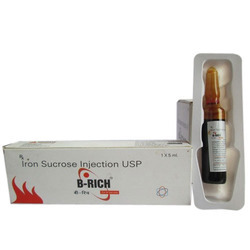 We have carved out a reputed position in the market by manufacturing and supplying high quality Iron Sucrose Injection USP. 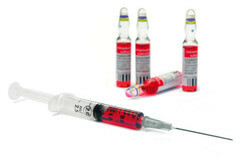 Our offered injection is widely used in treatment of the iron deficiency and iron deficiency anaemia and patients undergoing chronic hemodialysis receiving supplemental erythropoietin therapy. Further, our team of quality experts strives hard in order to offer effective and pure products to our clients. We have formulated Biozole-L Capsules, under our array of idiopathic medicines. 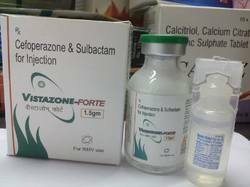 These capsules are widely used for treating conditions, the cause of which is not known. The offered capsules are widely recommended by medical practitioners, owing to their quick and instant result. Our adept professionals formulate these capsules in sync with the standards of drug regulatory bodies and therefore ensure our patrons high effectiveness. 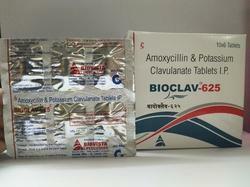 We Biovista lifesciences is a Chandigarh based pharmaceutical company dealing into multi-dimensional range of pharmaceutical products. Dedicated professionals who are committed for the welfare of mankind and ready to serve the healthcare industry in a proficient manner are invited to join our company by undertaking the PCD or franchisee of the company. Monopoly rights are available for the professionally well-managed groups. The contact details are available for your convenience to be able to join us. We believe in working together for the achievement of mutual benefits. We are interested in Pharma PCD Inquiries. Established in the year 2008, at Chandigarh (India), we, “Biovista Lifesciences”, are an ISO 9001:2008 certified company engaged in manufacturing, supplying and trading a wide range of Pharmaceutical Medicine. Some of our offered products are Multivitamin Medicine, Antibiotic Medicine and Pharmaceutical Injection and many more. These products are precisely processed by our skilled professionals using high-grade chemical compounds and advanced technology in complete compliance with the universally accepted norms of quality. Furthermore, the procured chemical compounds are also subjected to various stringent tests on well-defined parameters in order to avoid any kind of discrepancy in our offered range. The offered products are highly appreciated among our clients for their precise composition, accurate pH value, purity, effectiveness, zero side effects and long shelf life. Apart from this, we offer Pharma PCD, Contract Manufacturing Service, Third Party Manufacturing Service, etc. Our products are available in various tamper-proof packaging material in order to cater to the diverse requirements of our esteemed clients.